In my ongoing quest to get more performance out of my system, and thus more productivity for my day-to-day existence I´m starting to bat around what will be my next operating system choice. As much as I complain about Micro$oft I know it will be some form of windows - the only question now is... which one! If XP would give me access to 8 or 12 GB of RAM I probably wouldn´t upgrade at all - but that is the driver for me. More memory = more performance and being limited to 3Gb is just not cutting it anymore. The problem is where to go with that. Xp 64 Bit? Vista (eek) or wait for Windows 7. The current hype is all Windows 7, for obvious reasons, but following Micr$oft´s usual process most things probably won´t work very well under a new OS until at least SP1 and/or until the individual vendors update their packages for it. 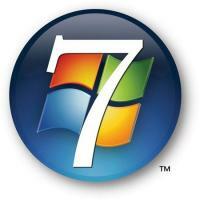 All this assumes that Win7 even gets released on time - something MS has never done before. I don´t really think I am reaching any conclusions here, reading through heaps of speculation and confusion - all I know is I´ll need to do something soon - the main question, is what.